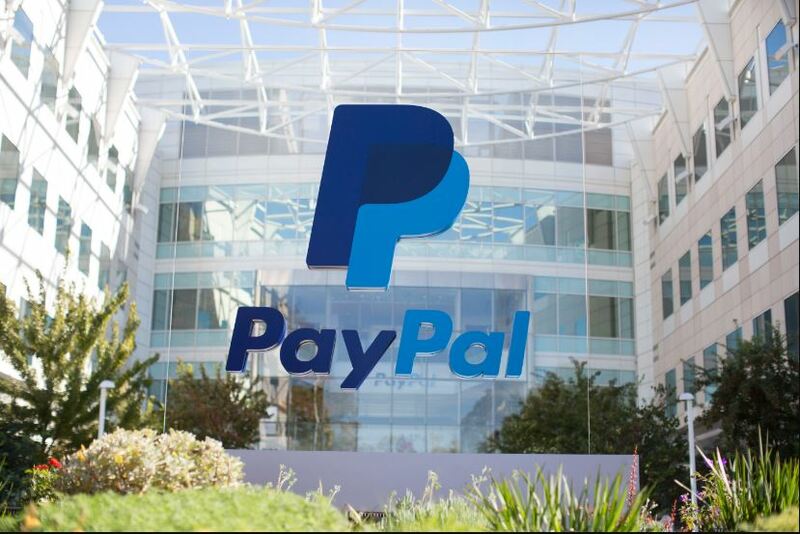 OAKLAND, Calif. (CN) – A federal judge has granted final approval of a $4 million settlement between PayPal and its users over unexplained account closures, ending six years of soap opera-style negotiations. She also granted class counsel’s fee motion in part, and rejected a separate motion for fees by another attorney who she said had “derailed” the settlement talks. Under the agreement, PayPal will pay $4 million, modify the disclosure of its reserve and hold practices, and clarify its dispute resolution process. Lead plaintiff Moises Zepeda sued PayPal in 2010, claiming he logged into his PayPal account, which he used for business, and found a notification that his access to it had been limited. PayPal then closed the account, explaining only that the closure was due to security. It also kept the money in his account and the interest from it, Zepeda said. Another user, Devinda Fernando, filed a similar lawsuit that same year against both PayPal and eBay, claiming the two companies improperly restricted and closed customer accounts without notice due to suspicious activity. The parties went to mediation in 2011, where they reached a global settlement. But the deal fell through when Marina Trubitsky, an attorney for the Fernando plaintiffs, attempted to negotiate individual settlements with PayPal and eBay. Trubitsky “began a series of actions ostensibly intended to derail the Zepeda settlement,” Armstrong wrote in her Friday order, including filing a new lawsuit against eBay and attempting to have the plaintiffs in that case intervene in the Zepeda case. She also tried to “take control of the Zepeda action by resurrecting her dormant motions to consolidate Zepeda and Fernando, to be appointed lead counsel and have those motions heard prior to plaintiffs’ motion for preliminary approval,” Armstrong wrote. Armstrong denied the motions in 2012 and referred the parties for a global settlement conference encompassing all three actions. But Trubitsky and her clients were no-shows, and no settlement was reached in Fernando. After the breakdown in talks, the Zepeda plaintiffs renewed their motion for preliminary approval of their proposed settlement. But Armstrong rejected it in 2014 because she said the settlement release was overbroad and didn’t provide money damages to the class. On a second go-around in mediation, the parties added a $3.2 million settlement fund, of which at least $1.84 million would go toward paying class members who had holds or reserves placed on their accounts and lost interest income. They also added an $800,000 fund from which class members could request business-related damages. Although she found the monetary relief sufficient, Armstrong rejected the revised settlement early the following year because it sought to settle claims based on an alleged breach of a 2004 settlement in Comb v. PayPal, and because it included class members who had been accountholders since 2006, though the disputed practices began in 2008. In Comb, PayPal agreed to pay $9.25 million to users whose accounts it froze without explanation due to suspicious activity. The parties removed their Comb claims and added new ones to justify beginning the class period in 2006, and Armstrong preliminarily approved the settlement in late 2015. In blessing the settlement on Friday, Armstrong noted that only 11 class members filed objections to it and 75 opted out, out of 100 million PayPal users who received email notices about the settlement. “These numbers indicate that the notice process has been remarkably successful – and the settlement class’s reaction to the settlement has been overwhelmingly positive, which favors approving the settlement,” she wrote. The judge noted the defendants’ motion to dismiss the claims in the first amended complaint had been granted, and said the later claim that PayPal violated the Electronic Fund Transfer Act by failing to provide yearly error-resolution notices and monthly account statements would likely fare no better. The Electronic Fund Transfer Act governs participants’ rights when using electronic funds transfer systems. But it only applies to financial institutions, “which PayPal arguably is not,” Armstrong said. She also questioned whether the plaintiffs could certify a class without a settlement, noting that each plaintiff would need to individually prove that the hold or reserve PayPal placed on their accounts was unjustified. “There is no question that maintaining this case as a class action through trial would be highly uncertain,” she wrote. Armstrong reserved harsh words for Trubitsky on Friday, denying her motion for $212,500 in attorneys’ fees, which would have come out of the fee award to class counsel. In rejecting the motion, Armstrong highlighted Trubitsky’s “disruptive” behavior, which she said had “derailed” the 2011 settlement. Armstrong granted in part class counsel’s fee motion, awarding them $800,000 – the standard 25 percent of the settlement fund. They had requested $902,000, or 28 percent of the fund. She also awarded each class representative a $50 incentive award, a steep reduction in the $2,500 awards they had requested. The plaintiffs were represented by Alfredo Torrijos of Arias Sanguinetti Stahle & Torrijos in Los Angeles; PayPal by Benjamin Potter of Stroock & Stroock & Lavan, also in Los Angeles. Neither attorney could be reached for comment Monday morning.